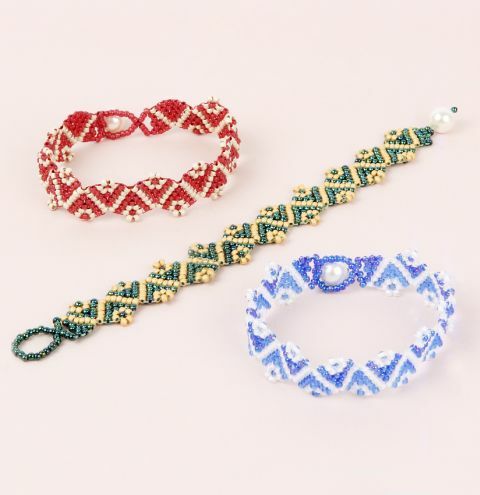 Make a beautiful Woven Waves bracelet for summer using your FREE project sheet which is automatically added to orders placed on Thursday 29/06/2017. As featured on CD-ROM 2 Wonderful World of Weaving from the Beginner's Guide to Jewellery Making. 2 colours of size 11 seed beads.